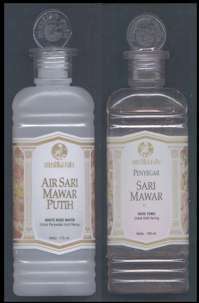 Used to refresh and keep skin in healthy clear condition. 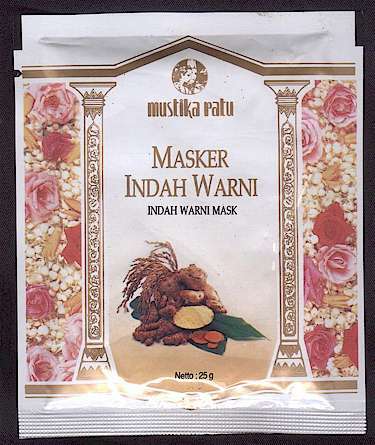 Contains "bengkoang" powder which cools the skin. 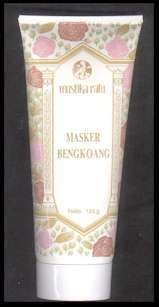 Used to soothe the skin especially for sun burn. Used to eliminate spots and marks and refines the skin leaving the complexion clean and clear. 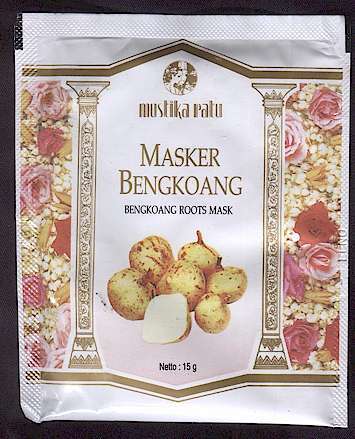 This mask product is used to treat acne. 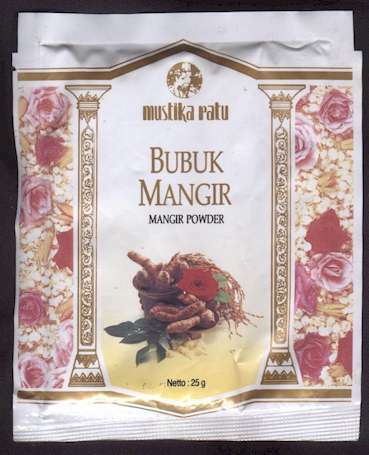 Mangir Powder is used for the body treatment. Cleanses and softens your skin. Removes dead skin and stimulates the growth of new cells leaving the skin smooth and fresh. This preparation contains phospor and calcium which is extracted from the tuber of bengkoang. It has a cooling effect and lightens skin color. It also diminishes black spot on the face and neck areas. Use it regularly twice a week. Close the cap tightly to prevent dryness. 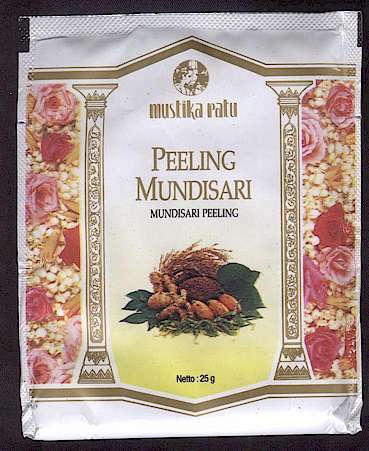 Mundisari ingredients from kemuning leaves (muraya Paniculata Jack) has a natural antiseptic content and is useful for eliminating skin diseases, diminishing black spots as well as keeping the skin smooth and radiant. Scrub on the face regularly, twice a week. Made from the extract of fresh roses. Rose Tonic revitalizes skin and compliments the cleansing process. Tightens pores and smoothes the skin, making it soft and fresh. 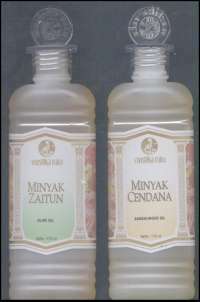 This Olive Oil is processed from olive seeds beneficial for the treatment of the skin and body as well as for massage. Regular use will make dry and scaly skin, soft and supple. This oil is processed from the extract of natural Sandalwood which is beneficial to make your skin smooth and make your body, hands and feet fragrant. Very good for body treatment and massage on areas of aches and pain.